A Saskatoon family has been spending the long weekend in fear after Molotov cocktails were lobbed at their home. 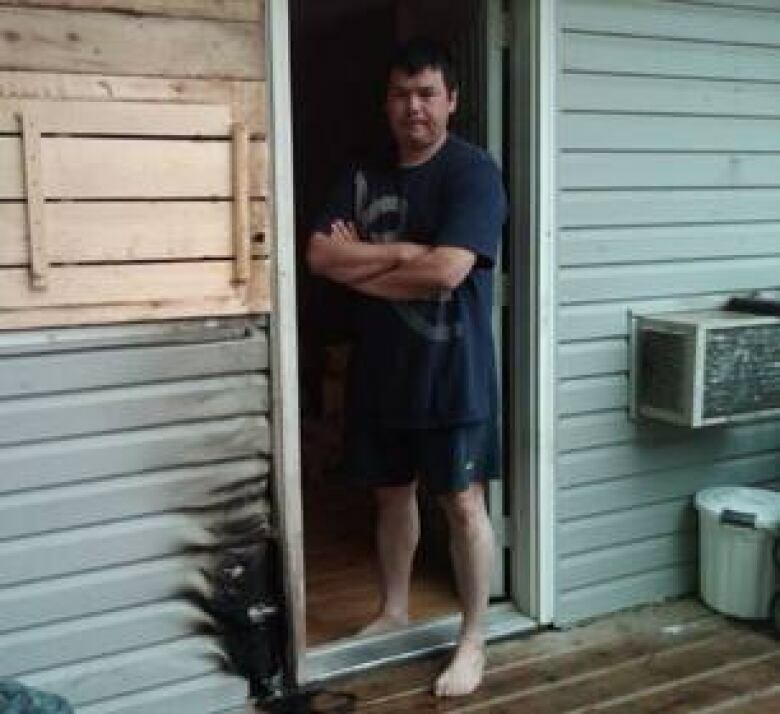 Ken Keats stands beside scorched siding after attackers threw two Molotov cocktails at his home. (Kathy Fitzpatrick/CBC)A Saskatoon family has been spending the long weekend in fear after Molotov cocktails were lobbed at their home. The incident happened in one of the city's roughest neighbourhoods, Pleasant Hill, and the family believes gang members targeted their home by mistake. Ken Keats said the attack started Saturday morning with a young man throwing rocks at their house. A window broke and his wife stepped outside to tell the man to stop. She got hit in the face with a chunk of cement, fracturing her nose and cheekbone and injuring an eye. "My kids were screaming. My 16-year-old daughter was running around and said, 'Mom got hit by a rock.'" Keats said police arrested a young man. But after lunch a group of five teenagers showed up and threw a few gasoline-filled beer bottles stuffed with lit rags at the house, damaging the siding. "They said, 'We're Terror Squad, we're Terror Squad,'" Keats recalled, referring to the Saskatoon gang. Keats said the attackers must have mistakenly thought one of their enemies was in the house. "We've been in this neighbourhood for ten years now and don't want to be here anymore thanks to gang violence," he said. An arson investigation is underway.